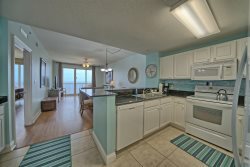 Welcome to Watercrest gulf front condominiums in Panama City Beach, Florida! Watercrest features luxurious floor plans in an elegant 18 story high-rise, each with a private balcony overlooking the Gulf of Mexico. Resort amenity highlights include a large heated pool with expansive sun decks, clubhouse, lighted tennis courts, exercise rooms, and more. Inside your room youll enjoy tropical furnishings, fully equipped kitchens, washer & dryers... everything to make you feel at home. Near by is St. Andrews State Park, Schooners and Captain Andersons. Have fun!